Welcome to the home of Forces 80 History Group. 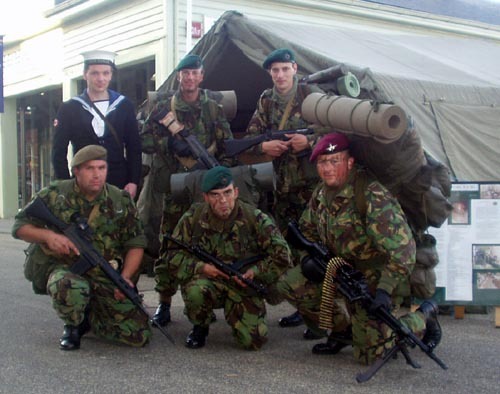 From Germany to The Falklands. This is the main web site for the Forces 80 history group. 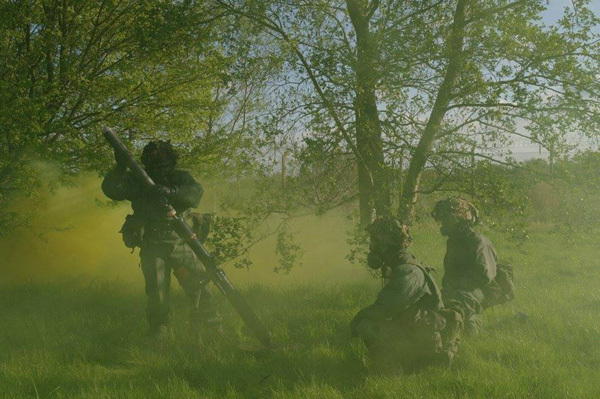 The group regularly attends various events throughout the UK where it displays uniforms, weapons and equipment as used by the British Army during the 1980's. Forces 80 was conceived in the winter of 2004 and came into being in the spring of 2005, with their first event being the War and Peace show in July 2005 where they were well received. Shortly after this, they were introduced to Event Plan who arranged premier events through out the UK. Over the years the group have been requested to put on Events by various organisers from Council run events to MOD events throughout the length and breadth of the UK and people have been surprised as to the distance members have sometimes traveled. Various members of the group have also provided man power and equipment for several documentaries and a short films. The location of members is not just confined to one region, with the core membership being in the North West, Forces 80 can regularly rely on its members in the North East, Yorkshire, Midlands, London and the South East of the country. On this web site will find various information on the group, their activities and a resource section that contains beginners information for would be collectors and re-enactors of the period covered. The resource section is by no means complete and further research may be required by yourself. For a full event schedule please check out our Facebook page, where all up to date information is posted on a regular basis. The Roll out of the new look web site has started. and is on going, keep coming back to see what's new. This web site is funded from my own pocket, it is not a deep pocket and the odd donation to the group to help to keep it up and running would be much appreciated.